This got Rachel thinking about how she could help her clients continue to build a positive relationship with food when she wasn’t there. 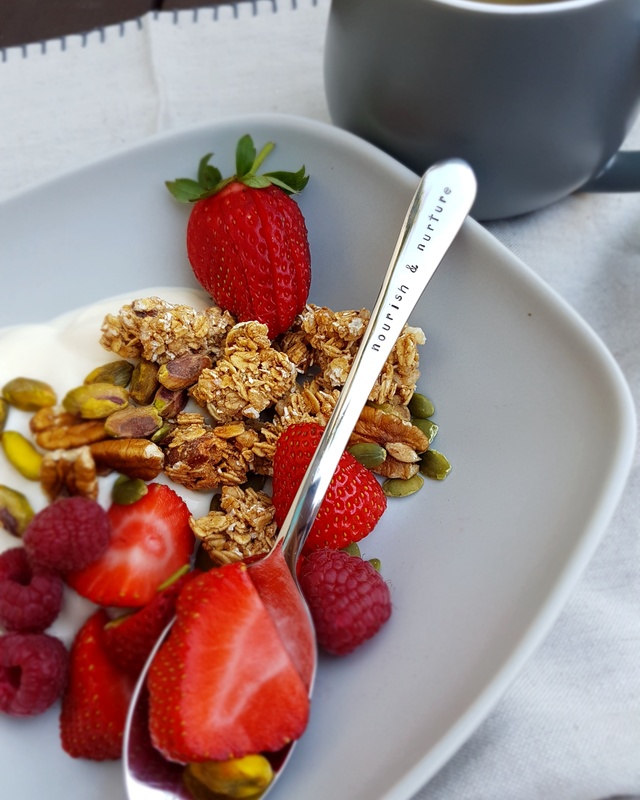 A spoon is often used at the first meal, having it etched with the words “nourish & nurture” provides a gentle reminder and reassurance at the beginning of each day. The spoons began as a gift to her clients to help them rebuild their relationship with food but quickly grew into the Spoon Project, and available to everyone. You can purchase the Nourish and Nurture spoon here.